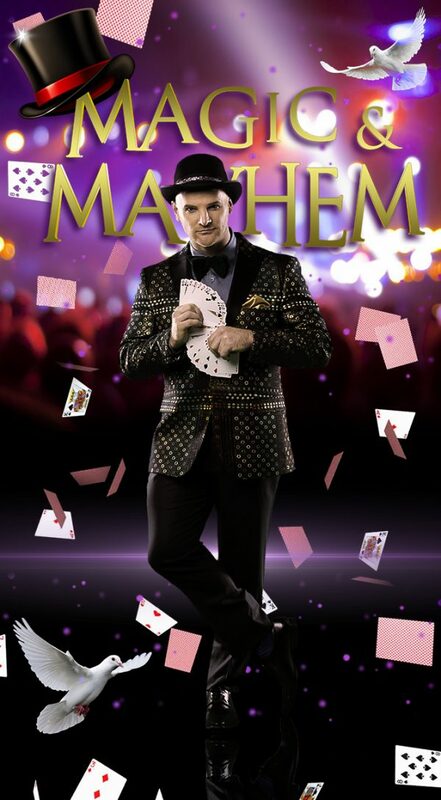 Countless audiences have been enraptured by the performance of side-splitting comedy and mind-boggling mysticism of Magic & Mayhem. 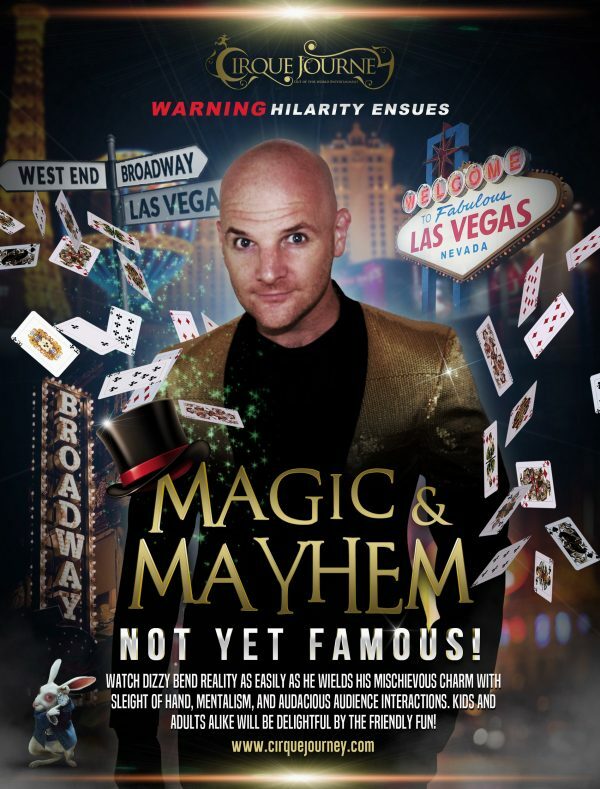 Watch Dizzy bend reality as easily as he wields his mischievous charm with sleight of hand, mentalism, and audacious audience interactions. Kids and adults alike delight in this friendly, fun family show!